Tailor made lawn care services. Surrey born and based independent lawn care specialists. Servicing Surrey and nearby areas. Specialist lawn care services in Surrey, including: Woking, Weybridge, Guildford, Leatherhead and nearby areas. Surrey born and based, we are not a franchise; we are not limited to products we can use and services we can provide. We are certified to use the best professional herbicides, pesticides, insecticides and fungicides. We care for our customer's lawns with quality, professional machines & products to help you get your lawn perfect for you. Offering a high quality service and taking pride in what we do has been fundamental to our customers' lawn successes. 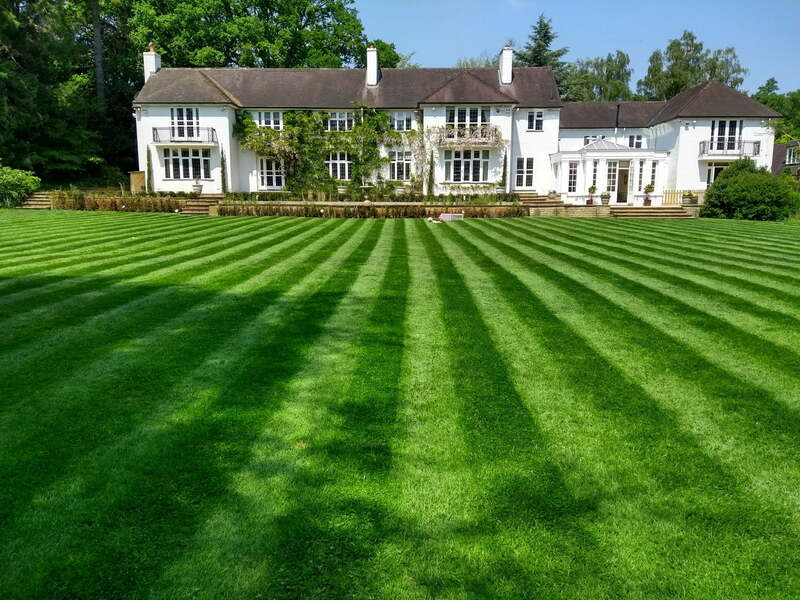 With a pedigree of specialist experience working with top golf courses and domestic lawns within Surrey and beyond, you can be assured that we will help you get the very best out of your lawn for seasons to come. Mark was brilliant getting my lawn back into shape. A very personable and bespoke service that we continue to use throughout the year. Mrs F – Pyrford, Surrey. We just moved house and our lawn looked tired and mossy. We are delighted with the results Mark has produced in a short period of time, we highly recommend his services. Mr M – Hook Heath, Surrey. Our lawn was neglected for years, we contacted Lawn Crew thinking it was beyond repair. Mark produced a detailed report with his tailored approach. Using the services of Lawn Crew we now have a lush and green lawn - brilliant! Mr H – Horley, Surrey.